Self Sense, a last-start winner on the flat, will carry top weight in the Grand National Hurdle. Self Sense will have to carry top weight in his attempt to extend his unbeaten run over jumps to four in the Grand National Hurdle at Sandown. 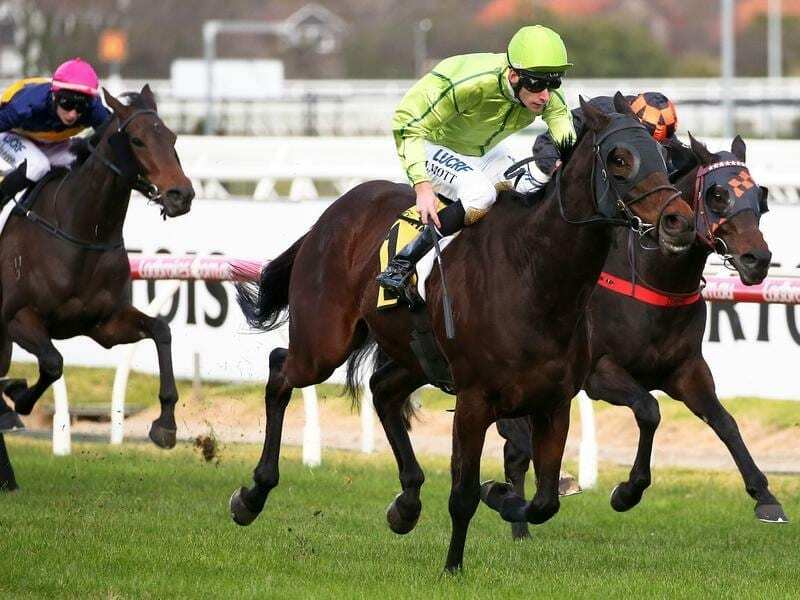 The David Brideoake-trained gelding, who has been successfully mixing jumping with flat racing in the past four months, will have to carry 69kg over the 4200m on Sunday. With a first prize purse of $137,500 up for grabs, Self Sense will be attempting to add to the $463,130 he has won since he began his dual career over jumps at Pakenham in April. Along the way Self Sense has won VOBIS Gold flat races at Caulfield over 2000m and 2400m as well as running third in the Listed Wagga Cup. Over jumps Self Sense has excelled, winning at Pakenham by 10 lengths before success in the Australian Hurdle at Sandown by six lengths and a 3-1/2 length win at Warrnambool on July 8. The 69kg he will carry on Sunday is a 2kg weight rise from Warrnambool where he defeated Two Hats who has a 2.5kg swing in his favour. Two Hats is second topweight with 68.5kg while Bit Of A Lad, aiming for a fourth straight hurdle win after victories at Casterton, Warrnambool and Bendigo, has 66kg. Old-timers Wells and Sea King share topweight of 70kg in the the day’s other feature, the Crisp Steeplechase which is run under set-weights and penalties. Wells won the Crisp last year carrying 70kg.